Looking for an easy DIY centerpiece idea? 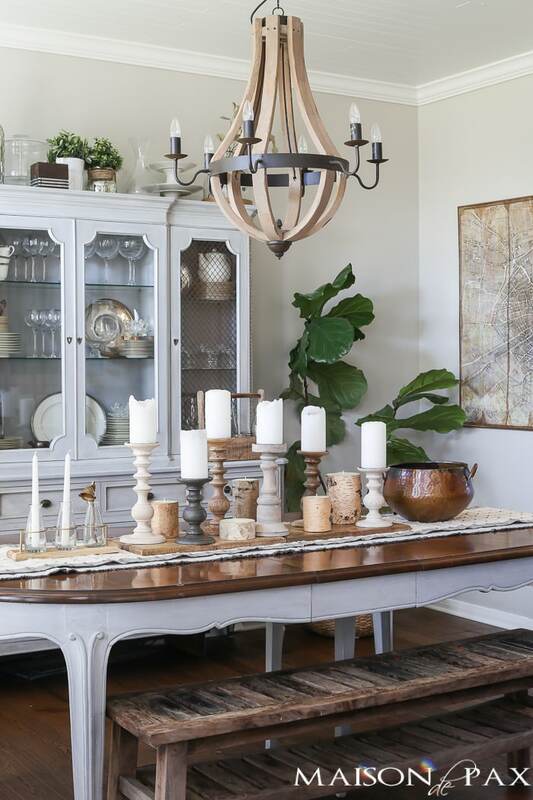 Get all the tips to create your own centerpiece and step by step instructions for setting the full table! But I have to agree with him to some extent: it is lovely to simply celebrate. No need for elaborate gifts or fancy rituals… Just a really lovely meal. Yum. 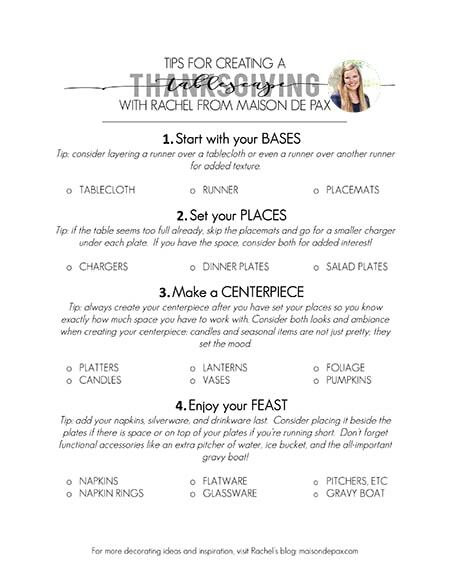 In the interest of keeping it simple – yet special – I’ve teamed up with World Market this year to bring you an easy DIY centerpiece idea PLUS some step by step instructions to get your table ready for the big day… Allowing your focus and energy to go towards that all-important food. 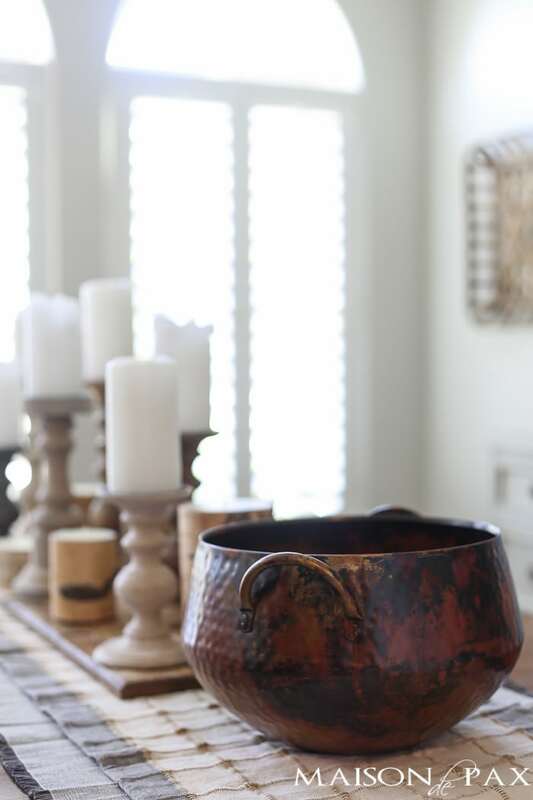 I already shared two Thanksgiving table ideas this year (a more elegant one here, and a fun rustic-modern one here), but this easy DIY centerpiece really is one of my favorites. 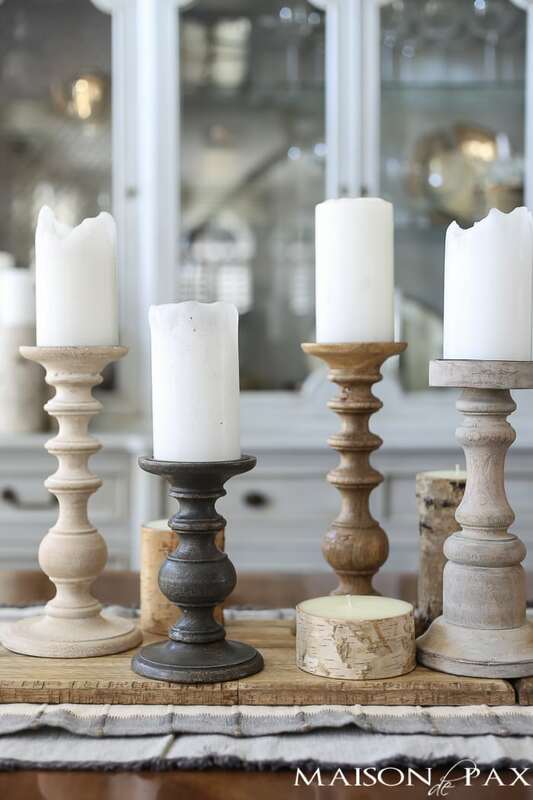 It is the type of centerpiece that can work year round for any occasion. And gorgeous birch bark candles made it easy to dress it up. 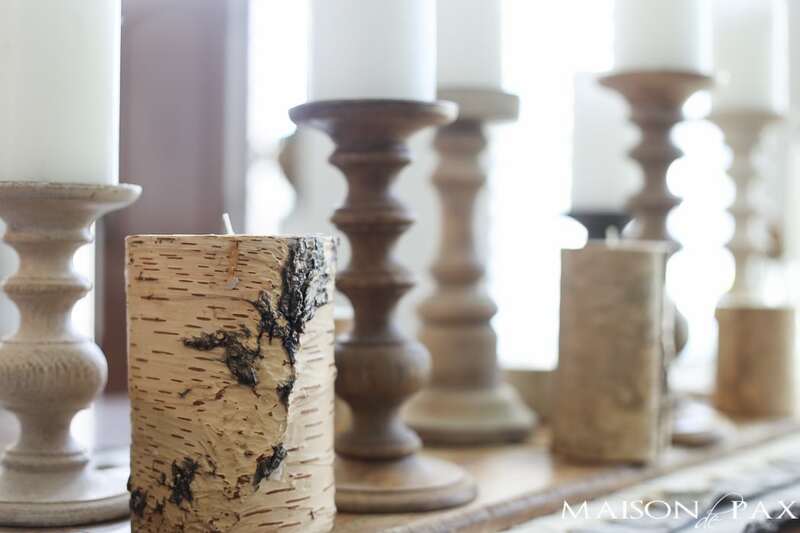 And the birch bark is perfect for fall and winter. 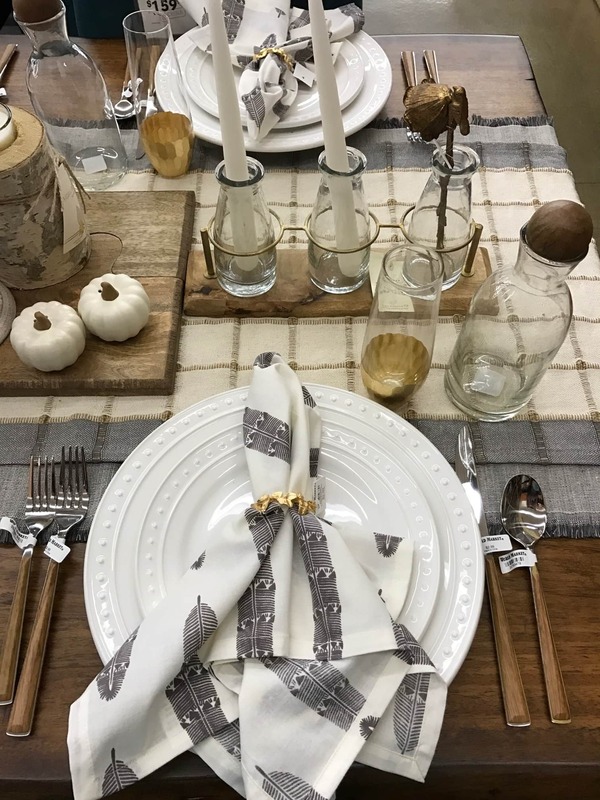 If your tray is long enough, you can add other accessories like mini pumpkins or even practical ones like salt shakers. 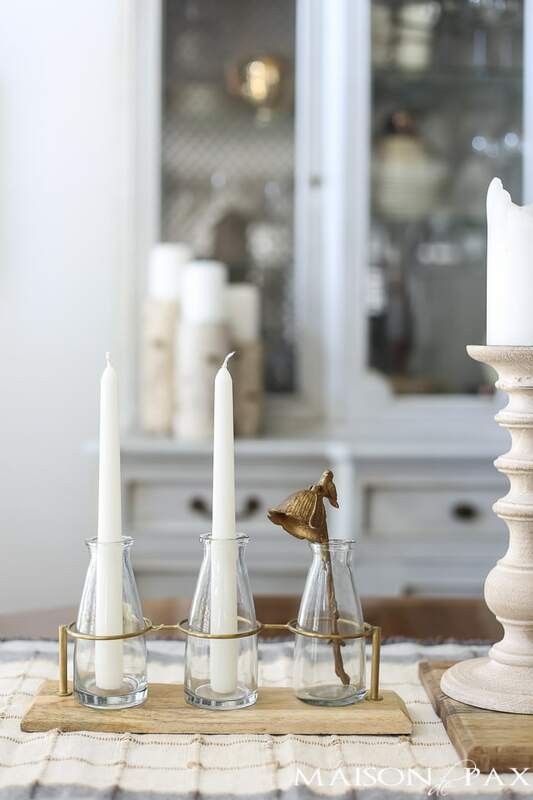 Limiting your centerpiece to the tray leaves room on the table for other elements, like these pretty candles in a milk bottle vase. Or a big copper ice bucket. I love this piece! 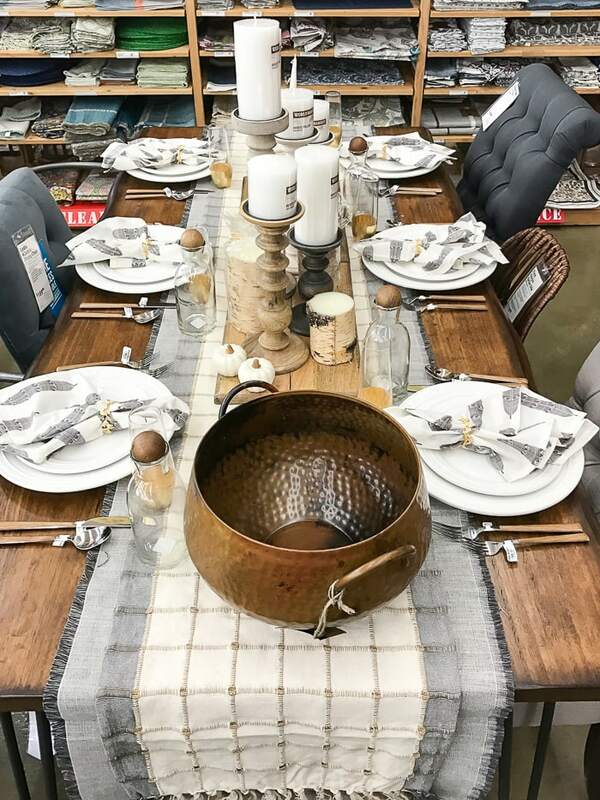 I had so much fun partnering with my local World Market last week to help customers envision and design their own Thanksgiving tables, and I used this centerpiece as my focal point. Here are a few pictures from the store. I also shared this simple checklist to help people create their own tables, and I have it available for you today! Just click on the image below to download and print. 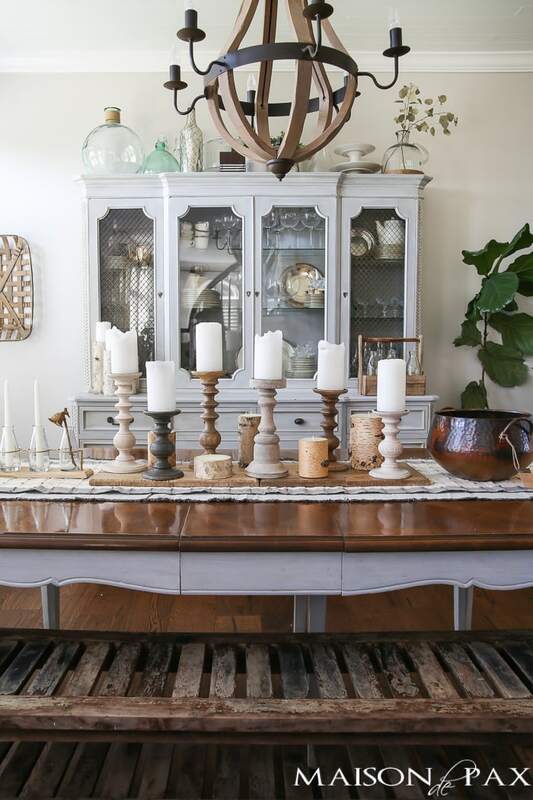 All the sources from this beautiful table can be found below! Rachel, I love the candles spilling down the table! 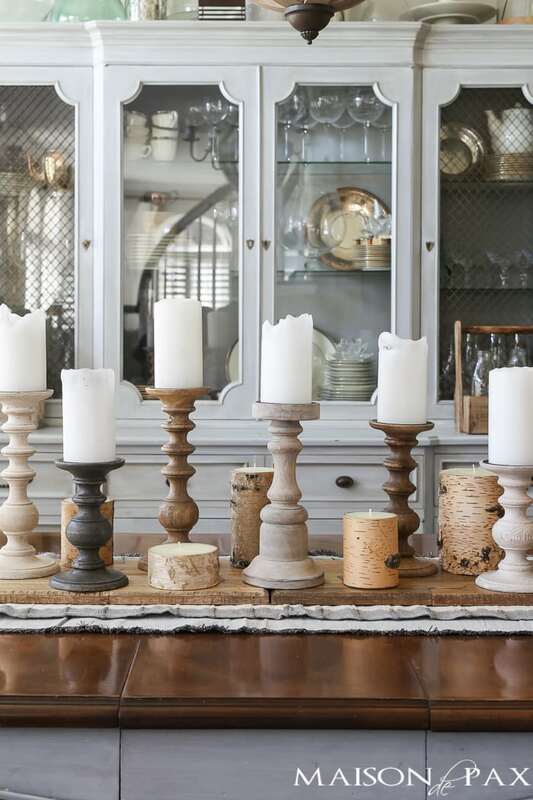 Your table must look magical when the candles are lit! Happy Thanksgiving sweet friend!